The phenomenon of Diaschisis represents a fundamental factor in order to understand the evolution of a stroke. 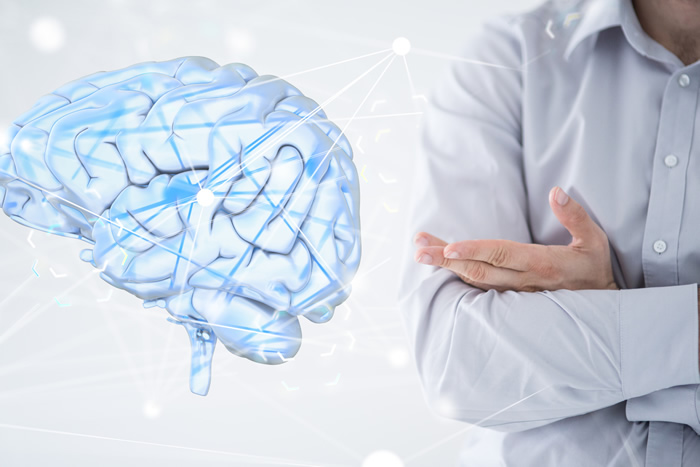 After a brain injury, some areas of the brain are directly damaged by the injury, some other stopped working correctly, because they were affected by the edema. They occupy the space around the injury while some structures that are not anatomically directly contiguous to the damaged areas, are inhibited. Let us try to understand the reason for this strange phenomenon called Diaschisis (inhibition). Why nature has the necessity to put the system in a resting mode? It is a biological defense strategy that tends to prevent the overload of the structures attacked by the injury. Therefore those areas and their structures are not anatomically connected with those that are injured. However, they are functionally connected. Those that are involved in a synergistic manner within some functions through the continuous exchange of information are inhibited. The inhibition occurs when some areas of the brain are no longer receiving information on the damaged areas that are now “silent” due to the injury and probably to protect the same injured areas from an overload of information that is hard to manage. Within the diaschisis there is a phase of “shock” during which the inhibition is very broad and involves many areas of the brain and the nervous system. It is for this reason that after a stroke, the acute phase is characterized by a flaccid paralysis, called precisely this way, because of the almost total inability of the patient to move one half of his body which is the opposite side of the injury. This phenomenon takes the name of diaschisis; the name is etymologically derived from the Greek “day” (via) and SCHIZO (division). As we have seen, the Diaschisis in fact represents a process of disconnection and distance inhibition between the different structures of the brain. The cerebral cortex is not actually involved but many other structures including the thalamus and cerebellum are involved, and their functions as we will see below, will be critical for the movement organization. How long does the diaschisis last? The neurologist usually answers this question by quantifying the duration of the phenomenon of diaschisis in 3-4 weeks, but in reality the diaschisis is a phenomenon that can last for the entire life as well as the recovery. The diaschisis is a phenomenon and an inhibitory synaptic one. This means that the inhibition occurs in areas of nerve connections, which is a sort of a vehicular toll road that connects several branches of traffic, and it is as if all these toll booths were on strike at the same time; then the entire road network would collapse. The “strike” of synapses represents a situation of hypo excitability, or a situation in which the transportation process and the mediation of the information that occurs at this level are definitely limited. In fact, some neural circuits formed by a few synapses, are desinhibited or “toll stations begin to start up their activities”. The neurologist goes to his office to stimulate the tendon reflexes with the hammer and does the classic knee test, so he can get a reflecting response to the movement that was absent before. However, this does not mean that diaschisis has receded completely. It means that the diaschisis is retreating, and is doing it starting with the most basic circuits, or reflexes. The brain is also tending to reorganize itself after the injury! This is the most delicate moment for the diaschisis recovery, since this inhibition process should be guided properly through a specific rehabilitation program, or by an experienced rehabilitation one and this will determine a large percentage of the future recovery. The first fundamental concept in order to understand the diaschisis is that it is a synaptic phenomenon. Another fundamental concept is that the diaschisis goes back first to the circuits with a few synapses (paucisynaptics) “road networks with fewer toll booths”. These circuits are part of the most basic movements, in fact, the reflection of the knee and other poor reflexes are movements that occur outside the conscious control and have limited stereotyped possibilities. It is of utmost importance to understand the type and modality of treatment for optimal recovery of the diaschisis; it is the synapses of desinhibition only through simple stimulation, or returning to our metaphor: “The toll booths on strike are resuming their regular activities only through mediation and can fall dangerously short and reasonable”. We said that the agency is being reorganized and this is happening at a synaptic level; there is a period of inhibition, in order to avoid overload information. In fact, it is not by chance that the main brain structures inhibited are represented by the thalamus and the cerebellum, two fundamental “organs” for the acquisition, construction, analysis, processing, and classification of the information. After this period of inhibition, the organism has found the need to provide the most fertile ground for the reorganization and the plasticity of the Central Nervous System, then there will be a period of synaptic hyper excitability, “the toll booths after the strike start doing double shifts,” but this hyper excitability is a double-edged sword; I will try to explain it better because it is one of the concepts on which the rehabilitation program is based. As we have said, the first to be pumped up are the simplest circuits. The elemental reflex faced with this situation adds a fertile ground of hyperactive excitability very difficult to manage. In fact, if care is not taken in order to handle the situation, offering the patient “information” simple and not in appropriate situations, you run the risk of reinforcing the use of only elementary uninhibited circuits, denying the possibility of acquiring and learning levels of mobility. The more complex the nervous system then “the more articulated road networks”. Why exercises are suitable for a successful recovery from the diaschisis? We must take into consideration that the main problem after a stroke is not only the engine or the motor deficit that represents only the visible phenomenon of biological and cognitive alterations in the central nervous system; in fact the same muscle contraction represents an important aspect in the movement, but not the only one! The movement organization is a complex mental activation in which there are cognitive processes such as: attention, perception, memory, and more. Therefore, it seems reasonable that, after a brain injury and during the rehabilitation treatment, those cognitive functions affected are involved directly with the injury that indirectly determines visible motor alteration. Within the different rehabilitative methodologies proposals for hemiplegic patients and the brain injury in general, the only approach that takes into account these fundamental premises of rehabilitation is represented by the neuro cognitive rehabilitation, which is commonly defined as the “Perfetti method”. I conclude this delicate argument about the diaschisis, which we will partially continue talking later on, to also talk of spasticity. Unfortunately, the cause of elemental mobility like the one we just described, does not occur only by basic life schemes, but also by other cognitive and biological elements that give shape to the spasticity, or compromising, a phenomenon that may arise if inside the phenomenon of the diaschisis, is submitted to the person in order to stimulate excessive loads. Summarizing the above and trying to translate it into rehabilitative actions, we can conclude by saying that the rehabilitation treatment should include the cognitive processes and would have to respect the time and the possibilities of the patient, trying not to structure the elementary mobility. To get further into the subject, I also invite you to read the article: “Diaschisis and its implications on rehabilitation, understanding how the path physiology knowledge, may influence the therapeutic activities”.